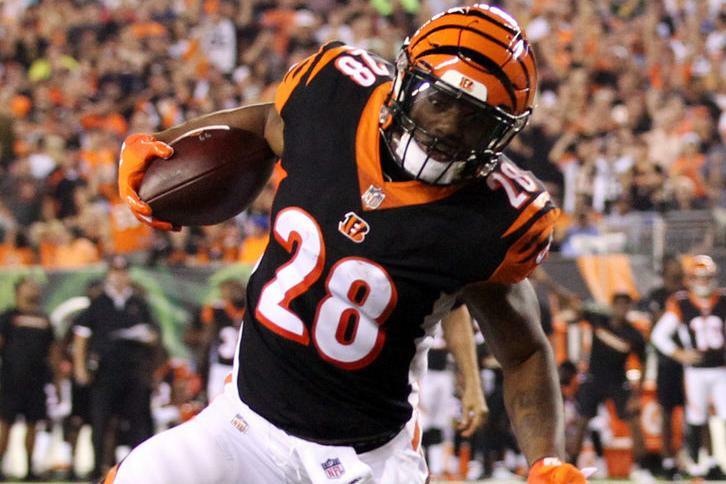 Cincinnati Bengals running back Joe Mixon is not expected to receive a full workload in his first game back from injury. Bengals coach Marvin Lewis told the Cincinnati Enquirer that there will be some limitations placed on Mixon for Sunday's matchup against the Miami Dolphins due to a lack of conditioning while rehabbing his knee injury. The second-year running back practiced on a limited basis Wednesday and Thursday but was removed from the team's injury report Friday. Giovanni Bernard started the past two games in Mixon's absence, but it was revealed Friday that Bernard will be sidelined for two to four weeks due to an MCL sprain. With Bernard out and Mixon facing a reduced workload, rookie Mark Walton is expected to see an expanded role in the backfield against the Dolphins (3-1). Walton, a fourth-round draft pick out of Miami-Fla, was inactive for the first two games this season. He had his only carry negated by penalty in a loss at Carolina in Week 3 and had nine yards on five rushes in last week's one-point win at Atlanta. He also had two catches for 24 yards against the Falcons. "When the first week comes and you are inactive, I don't know that the young guys really understand how that works," Lewis said of Walton. "I think that was a little shock to his system. Since he's gotten an opportunity to suit up and play he's really taken advantage. So it's great to see him grow and feel good about things. We have a comfort level with him. That's why we picked him." Mixon was a workhorse in Cincinnati's first two games. He rushed for 84 yards on 21 carries against the Baltimore Ravens after opening the season with 95 yards and a touchdown on 17 rushes in a season-opening win at Indianapolis.